John Crickmere rode 5/1 co-favourite 'Discount' to victory, finishing 20 lengths ahead of second placed 'The Returned', ridden by Bill Scott. Heavy rain on the day greeted the 16 runners with Mr Quartermaine's horse faring best in this the sixth 'Grand Liverpool Steeplechase' as it was called before becoming known as the Grand National. All horses ended the day unscathed, although not all made it round. The winning rider, John Crickmere was riding in his second National having finished third the previous year. Sadly, he only competed in one more race, as he died of consumption in 1846. 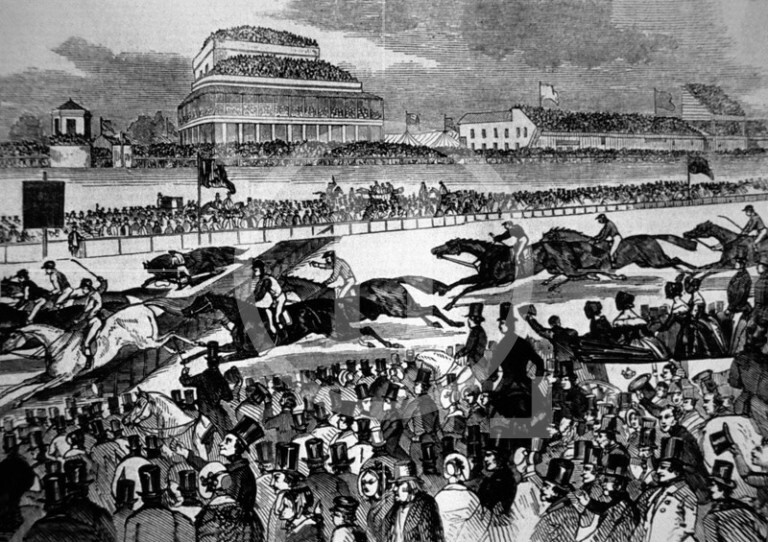 The interest in horse racing waxed and waned over the years, and what eventually was to become one of the most famous horse-racing events in the world, The Grand National, had its origins in a steeplechase organised for the first time by William Lynn in 1836.